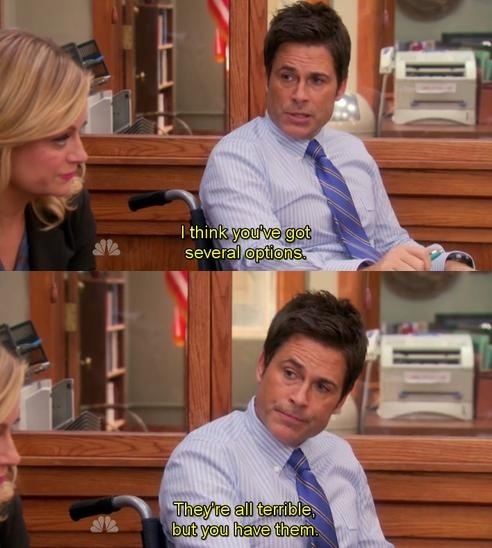 I'm not a student anymore but this didn't stop me from binge watching all seven seasons of 'Parks and Recreation' in the past three weeks or so. But don't worry! I do have a social life! With the delivery guy and my cat, mostly. Watching the first seasons I could easily relate to April: sarcastic, cynical... the perfect example of Chaotic Neutral, if you speak D&D! If you don't I might dedicate a post to the best way to classify people later on, just let me know! What? Nerd, me? How did you get this silly idea. 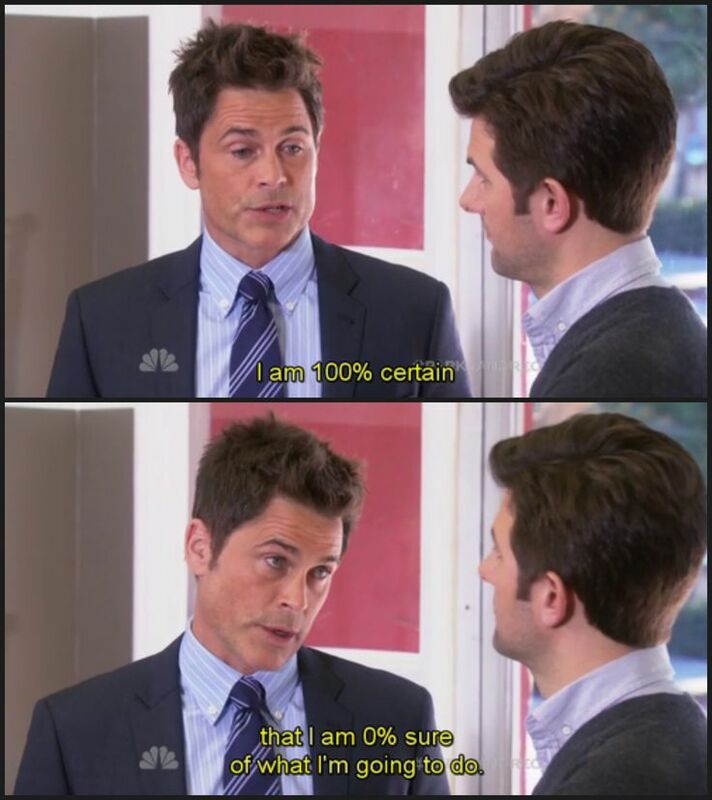 And then Chris Traeger arrived, and he is literally the character we all needed to understand that success is not something that simply arrives but that has to be built step by step. The first rule to success is to behave as if everything was awesome. By 'behave' I don't mean 'brag' but stand like you do when you know you got it. Breathe like you do when you feel powerful. Talk to yourself like you do when you feel secure. Have the same face expression of that time you showed the world what you're capable of. After all it's easier to change actions rather than attitudes! That's why people say "fake it 'till you make it". The second rule to success is to live in the present. What people always classified you as might stop you from taking chances on something you would really like. Being 'shy' or 'too slow at running' or 'not good at math' are only words that others said about the result of some of your actions in the past. You are not the sum of those episodes, and surely those will not magically define your future. Only the present can change the future, so if you feel like running a marathon you simply need to put on your running shoes today and start training. Do you agree with these two steps? Do you have other rules to success? 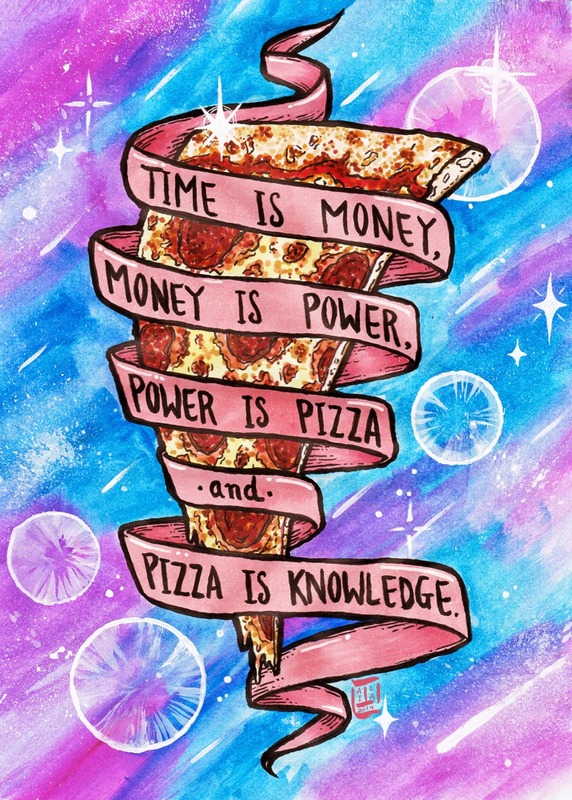 And, most importantly, is adulting correctly a sort of success? I want to believe so, because it surely doesn't come natural to me most people. For more information and myths about becoming a real adult, check out this Adulting Myth Busters series by simply clicking here.